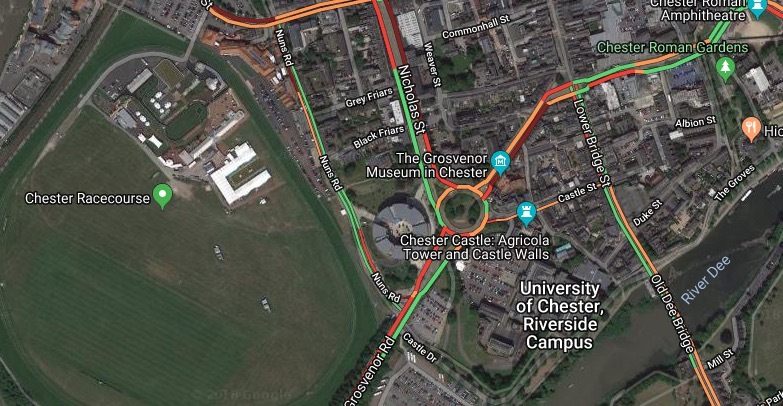 There is one lane closed and very slow traffic due to emergency repairs on A483 at A5268 Nicholas Street (Grosvenor Roundabout) in Chester this afternoon. It’s due to a water leak on the Grosvenor Roundabout, there is heavy congestion to Overleigh Roundabout reported. Severn Trent Water are carrying out urgent repair works, for safety reasons the lane closure will remain in place during the peak period, all approaches to roundabout affected.